Croma Campus (P) Ltd. is an ISO 9001 : 2015 certified Training Organization run by highly Qualified Professionals associated with various Top Level MNCs also having 10+ years of experience in various domains. Croma Campus, as aphoristic its name, is a premier institution for learning foreign languages in Delhi NCR. We started our journey with English speaking course. Today, Croma Campus is the hub of more than 50 foreign languages. Since our inception, we have received an overwhelming response from students/corporate/individuals for all most all languages. Be it Spanish language course, French language course, Japanese language course or any other foreign language course, Croma Campus is the first choice. In the decade-long journey, we have added around 50+ foreign language courses and we will never stop our Endeavour to add more. We are committed towards creating new-age professionals in the field of language learning, solutions, and services. Many students who received training and coaching in Croma Campus are enjoying a successful career in their chosen fields such as BPO/KPO Marketing, Mass Communication, Aviation, Hospitality etc. 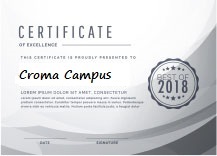 Croma Campus has become the name of authenticity, trust and reliance through its exceptional quality and students’ appreciation, which is what makes us standout from the rest. We are specialized in providing best-in-class training and certifications on all popular Speaking Languages available globally. We offer several innovative learning methods and delivery models to cater the unique requirements of a global customer base. We also provide corporate training's on various languages. We have a team of Certified Trainers with minimum 10+ years of Industry background. In past 7 years we have trained 18000+ candidates and out of which we are able to place 12000+ professionals in various industries successfully. Our courses are for individuals as well as for corporate. We also undertake customization of the courses as per client requirement. We have partnered with various companies and agencies to help place our students with the best matching position with startups and MNC's. We have developed P3-Model (Placement Preparation Process) which helps students to crack interviews. Croma Campus is the best and widely known training institute to learn foreign languages. Getting certified withCroma Campus is fun and future oriented. Earn best training forforeign languagesand race against the clock, and gear up your careers. Our specially designed lessons are effective, and we have 100% authentic proof that it works. We are having vast experience in training sector and can sense the real time requirement for any student based on current market positions. We develop excellent rapport with our students and placement firms. You will always feel like learning the language with us in a group of trainees in a classroom is very exciting. Take a tour at our testimonials to get better understanding about our vision and plans. We have extensive and vast experience in the field of foreign language teaching using interactive process and methodology. We strive to offer your translation and language needs with our talented batch of trainers. We have trained over 2000 trainees in the last few years. We have worked with over 30 companies to offer best in class trainings to their employees in French, German, Spanish, Urdu, English, Japanese and Chinese etc. These include top level organizations like Google India, Microsoft, Sopra,Tech Mahindra and CA Technologies etc. Some of our trainees have worked as foreign language experts in companies, hospitals, College, Aviation Industry and in foreign countries also. To escalate foreign language learning for effective communication. To foster our students’ awareness of foreign language and culture, and to help them gain communicative competence in that particular foreign language. 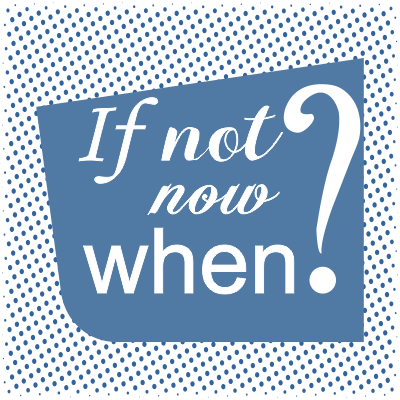 We believe that teaching should consider students’ needs since motivation and attitude are important factors for students learning a foreign language. We provide communicative and collaborative activities in which students can construct their learning instead of merely receiving knowledge from teachers. With a student-centered approach, students can build their language skills through interactions with other students in a task- and content-based environment. We engage each student in the learning process by playing as a ‘facilitator’ rather than just a ‘transmitter’ of knowledge.